A playhouse is a great childhood dream, and every kid loves it to own a playhouse where he can play with the toys along with enjoying the outdoor weather, a playhouse is a great fun cave where kids can enjoy the company of their friends and siblings also! However, a playhouse may also come with some monkey bars, slides and swing sets that will also help maintain good physical health in your kids! No doubt, the latest games, and gadgets too much fun for the kids and kids can really get busy with them while staying indoor sitting on a couch, but this is not going to produce better immune systems and better physical health in your kids, it is only possible by increasing the outdoor activities of your kids and a pallet playhouse would really be a great option in this case! So, if you are decided to give the best surprise of the year to your kids, a sweet playhouse, then you are really at the right place to get total help and guidance! Buying a playhouse will be a matter of higher expenditures, but you can build your unique wooden playhouses at home without breaking the bank! 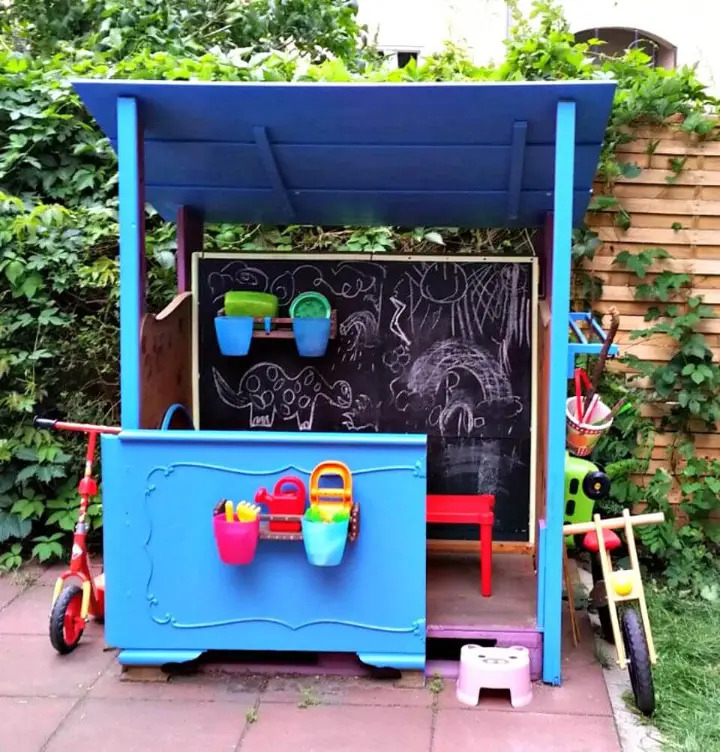 Yes, you can make use of recycled and old wood lying around like the shipping pallets to build some awesome looking wooden playhouses at home! 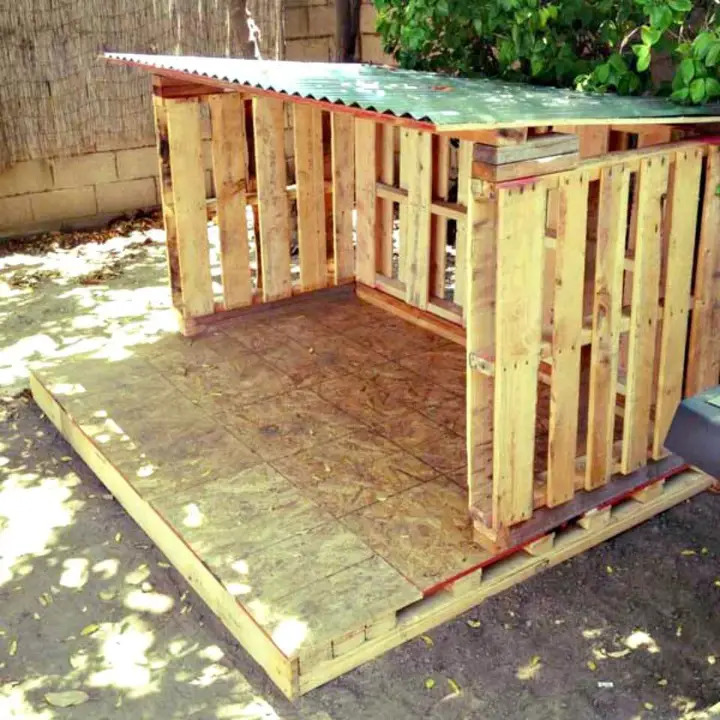 Willing to build a playhouse like a pro with pallets? 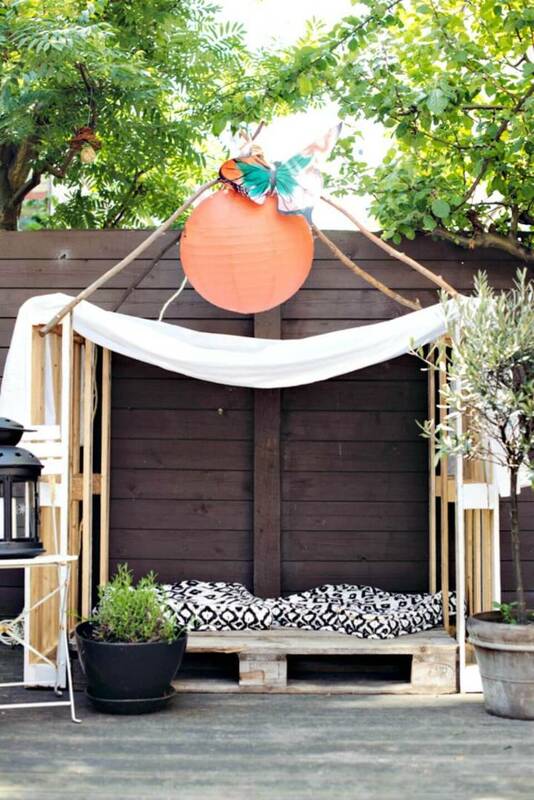 Then check out these DIY pallet playhouse ideas that will make great inspirations, and you can choose your favorite design from the list to build at home! You will also get the free plans, instructional guides and step-by-step tutorials for each showcased wooden pallet playhouse design that are hidden in the attached links! 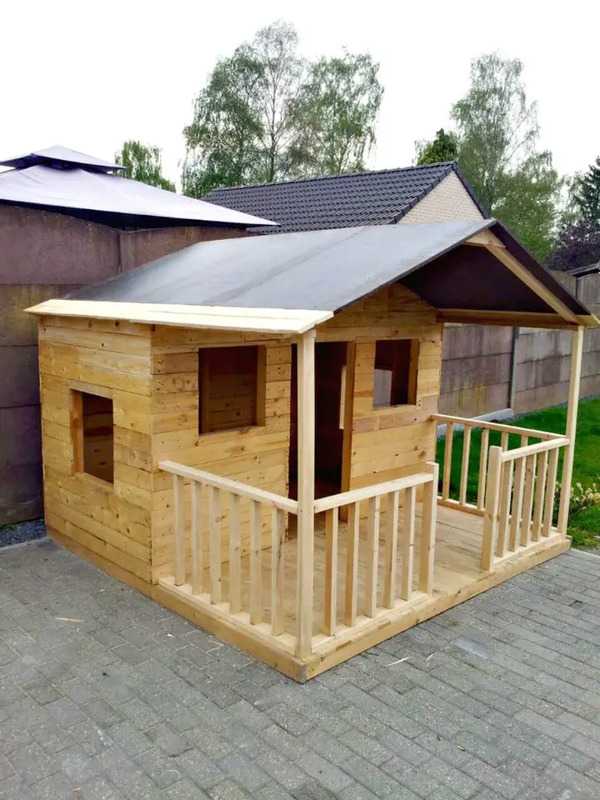 Make a bungalow style wooden playhouse with pallet wood that will come with a veranda, with a room with proper ventilation and also with a chevron roof! 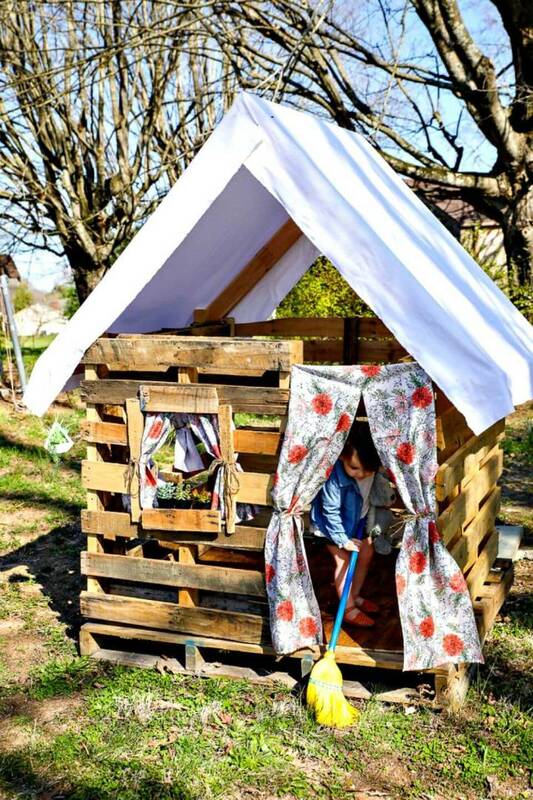 If you have not gone through pallet wood crafting yet then you can also build super simple wooden pallet playhouses, just put together the pallet boards vertically to make the walls of the playhouse and then cover the top area with fabric for amazing shelter and roof! 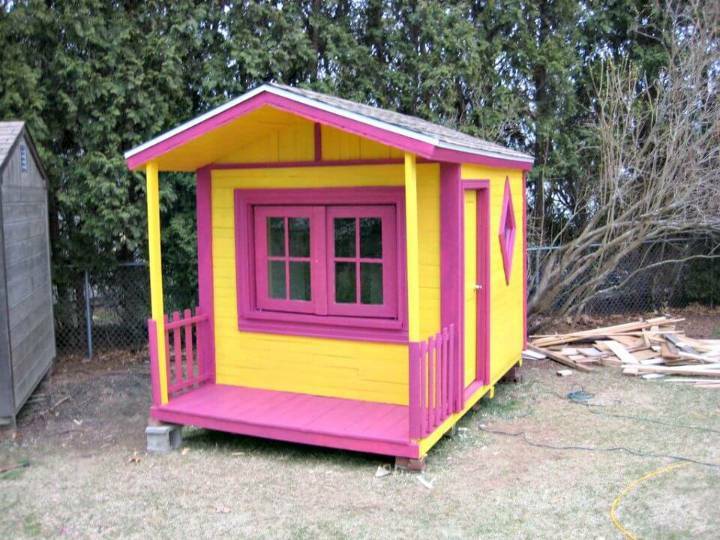 Build also the pro and multi-featured design of the playhouses at home, have a look at the given one that has been painted in beautiful colors and can be dragged to anywhere in your garden or backyard! Make also the wooden pallet playhouse with front counter and back chalkboard wall that will also come with a chevron roof to look fantastic! 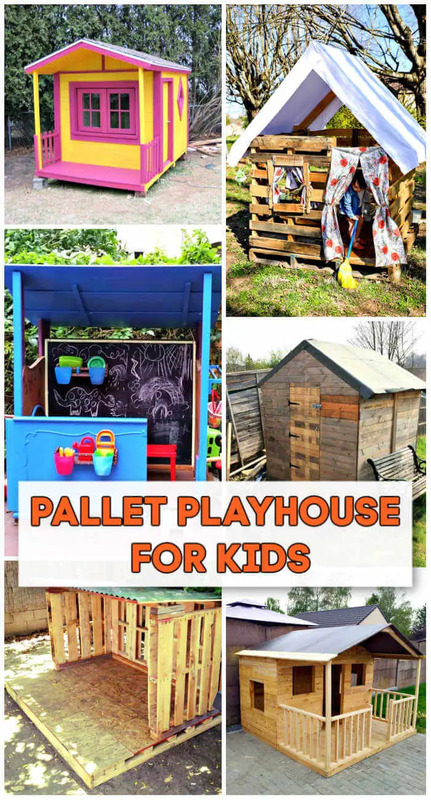 Here the list will provide you the homemade pallet playhouse designs that are made of both uncut and dismantled pallets! 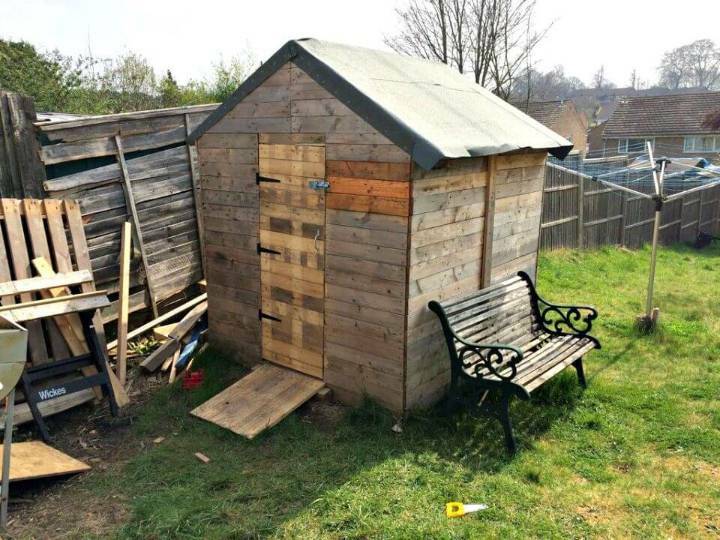 If you are afraid of boring cuttings, then you can treat the pallets as pre-fabricated panels to build the walls of the playhouse and next you can plan the roof! You can also make use of pallet wood and plywood to make more neat designs of the playhouses at home! Browse the entire list of the given pallet playhouse ideas and do clone your favorite design for your kids!